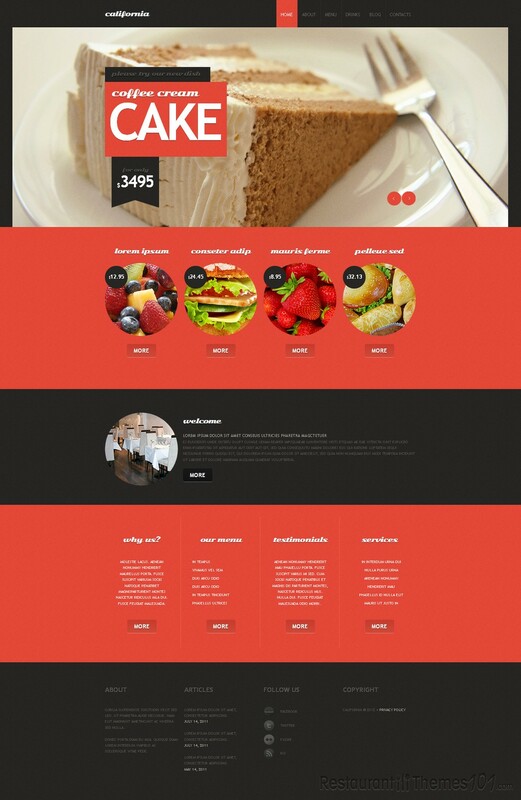 Finding the right theme for your restaurant website can be stressful, because there are so many of them, you might end up not knowing which one to choose. 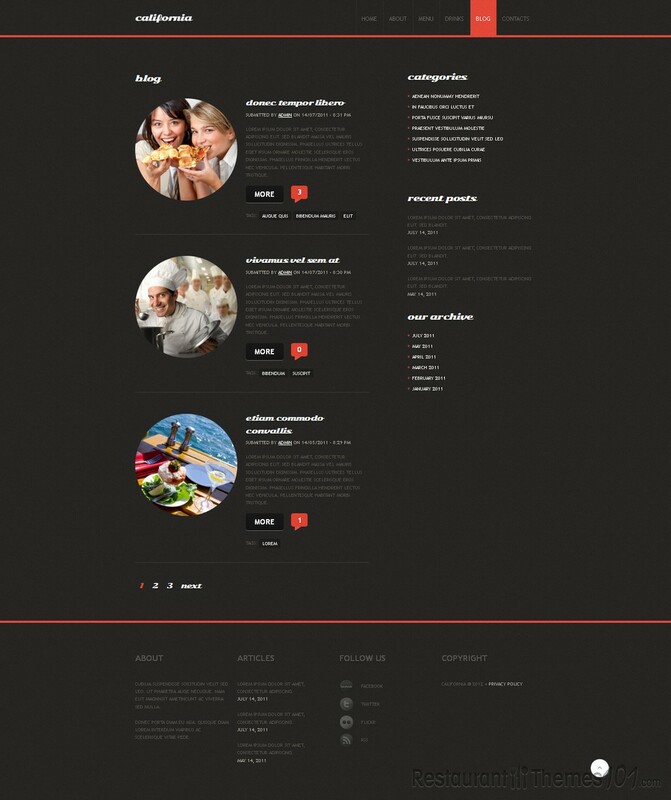 A good WordPress restaurant theme should have all the features that make one website attractive and functional. 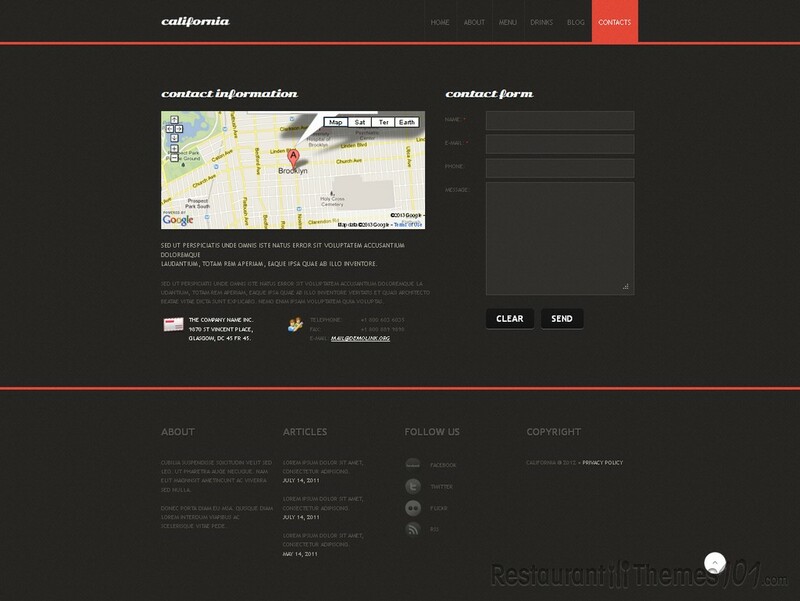 California is a nice restaurant theme developed by Cowboy and featured on Template Monster. 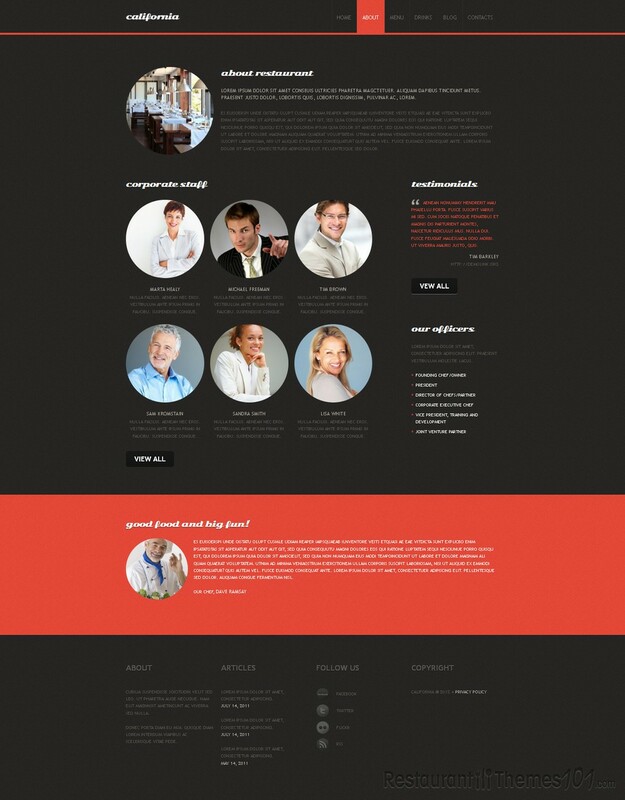 It has a very interesting layout that looks out of the box and gives the whole website a unique look and feel. You will be able to enhance your homepage with a huge photo slider where you can represent your specialties, and it will look sensational actually, with very nice, cool effects. 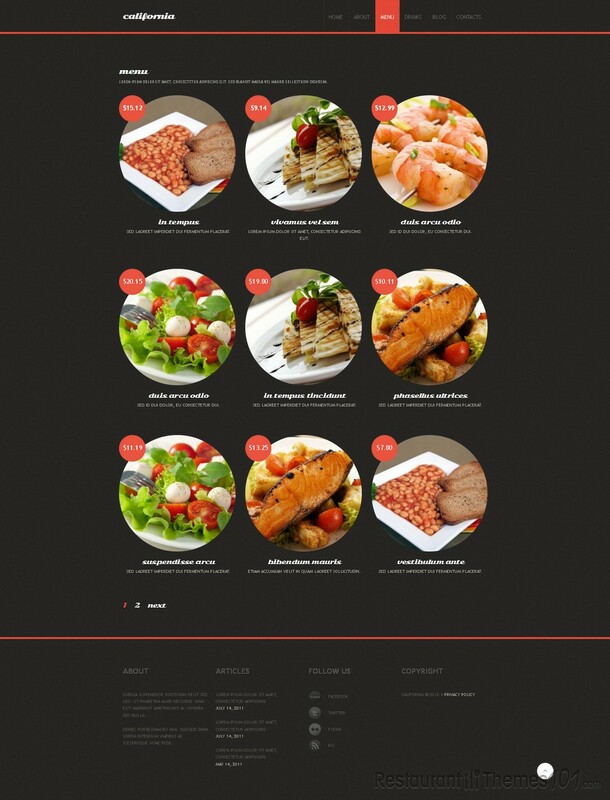 You can also add smaller thumbnail photos of other dishes and represent them on your homepage as special offers. By clicking one of those dishes, the visitors will get a page with a complete description of the dish with all the details you want to add. There is the archive section also, where you can keep your old posts available at all times. 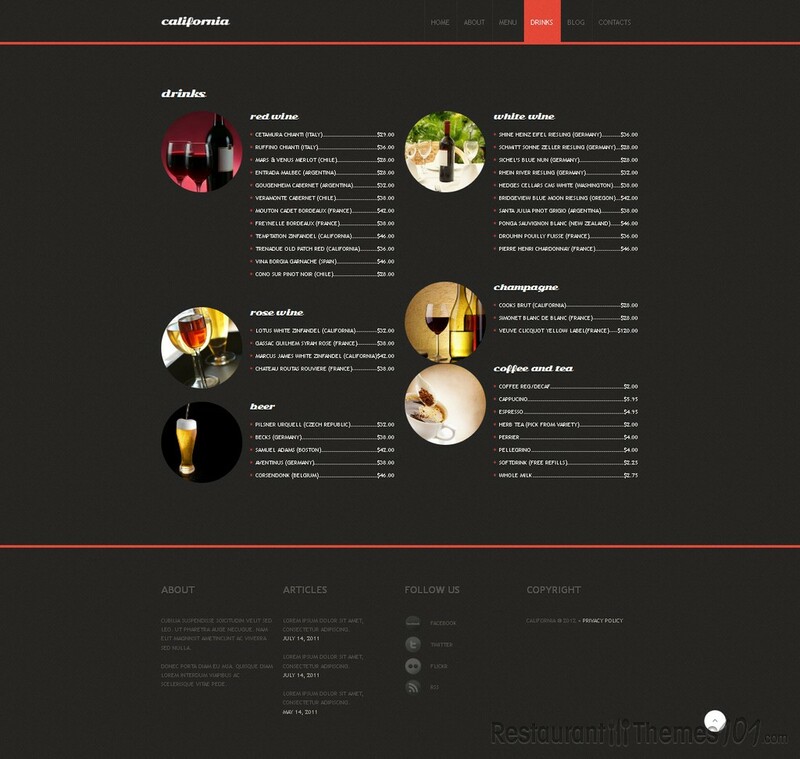 The theme has a nice menu section with several menu possibilities, including categorizing and a separate food and drinks menu. In the “About” section you can add testimonials of your happy customers so all the new ones can read how great your place is. There is also a blog section where you can add as many posts as you want and bring you restaurant as close to your visitors as possible. Social network integration is very nicely done; you will be able to connect your website with your Twitter, Facebook and Flickr account. The California theme has several pricing options: single site license; template + installation + hosting; template + installation. You can also select extra customization services for an extra fee, and play around with the website while changing it to look even more unique and match your personal style.